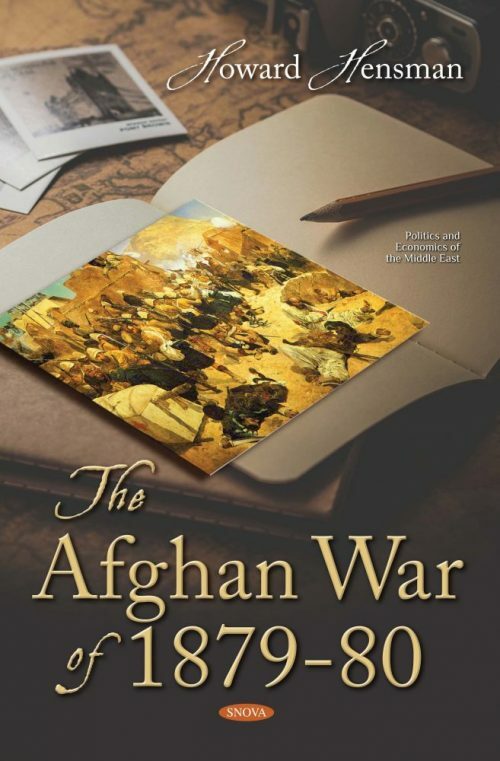 This book, originally published in 1882, is comprised of a series of letters written from the field of the Second Anglo-Afghan War. The author was a correspondent of the Pioneer (the second oldest English language newspaper in India) and the only journalist to accompany the Anglo-Indian field forces on their march through Afghanistan. The letters offer a firsthand account of the war from a British perspective. Chapter 3. The Advance to Charasia and the Battle of that Name, etc. Chapter 6. The Stores in Bala Hissar Arsenal - Disastrous Explosions, etc. Chapter 7. Execution of Prominent Afghans: the Case of the Kotwal of Cabul, etc. Chapter 8. Fighting in the Shutargardan Pass, etc. Chapter 9. Abdication of Yakub Khan; his Arrest, etc. Chapter 10. The British Army moves into Sherpur; opening Communication with the Khyber Force, etc. Chapter 12. Approach of Winter - Operations against the Safis, etc. Chapter 13. Difficulties as to Supplies - Bahadur Khan’s Contumacy; his Villages Destroyed, etc. Chapter 14. Yakub Khan Deported to India - Affairs in Afghan Turkistan - Tribal Uneasiness about Cabul, etc. Chapter 16. The Fighting around Cabul - General Roberts withdraws within Sherpur, etc. Chapter 17. The Siege of Sherpur - Musa Jan proclaimed Amir by the Afghan Leader, etc. Chapter 18. The Siege of Sherpur (continued) Mahomed Jan delivers his Attack - Its Failure - Reinforcements from the Khyber Line, etc. Chapter 21. General Roberts Proclaims an Amnesty - Afghan Chiefs at Cabul—Message from Mahomed Jan - News of Abdur Rahman Khan, etc. Chapter 24. The Early Life of Abdur Rahman Khan - Prominent Afghan Characters, etc. Chapter 27. General Stewart at Cabul - His March from Candahar - The Battle of Ahmed Khel - Capture of Ghazni, Action at Urzoo, etc. Chapter 28. “The Divine Figure from the North” - A Period of Calm - The Kizilbashes, etc. Chapter 33. The March (continued) - Relief of Khelat-i-Ghilzai - Arrival at Robat - End of the March, etc. Chapter 34. General Roberts in Candahar - Reconnaissance on the Herat Road - Battle of Candahar and Defeat of Ayub Khan, etc. Chapter 35. The Siege of Candahar - Sortie by the Garrison, etc.